The most fun of watching Keeping Up With the Kardashians is no doubt seeing all the drama unfold from the perspectives of the family that we only got to see through the media previously. Take Tristan Thompson's cheating scandal, for instance. While fans were aware of his infidelity at the same time Khloé was, we weren't able to see what transpired in the Kardashian households following the news. In next week's episode of KUWTK, we finally ​get to see the family finding out about Tristan, and just from the sneak peeks alone, it looks intense. Although fans are super excited to see what happened, it's obviously going to be super difficult for Khloé to watch. A fan took to Twitter last night to praise Khloé's strength in including the scandal on the show, to which the reality star explained her decision to let us all see. "I signed up for the show for the good and the bad right? The bad is very hard to relive but it's life," Khloé stated. Khloé obviously wants to keep it real with us and be honest on all the significant aspects of her life, the good and the bad. Tons of fans replied to Khloé's tweet, praising her for being so strong and honest. "I love how you’re so open with your fans," one wrote, while another replied, "So true Khloe but you got a beautiful babygirl out of it & that is your world. Focus on her & nothing else matters." While Khloé and Tristan might not be in the best place right now, as the Good American co-founder has postponed her and True's move back to Cleveland, the two are still together, as made evident by an Instagram story posted by Khloé this weekend. Upon Khloé getting back from a trip to Bali with her sisters, a sweet ​welcome home gift was waiting for her from Tristan. "Thanks baby," she wrote along with the photo. 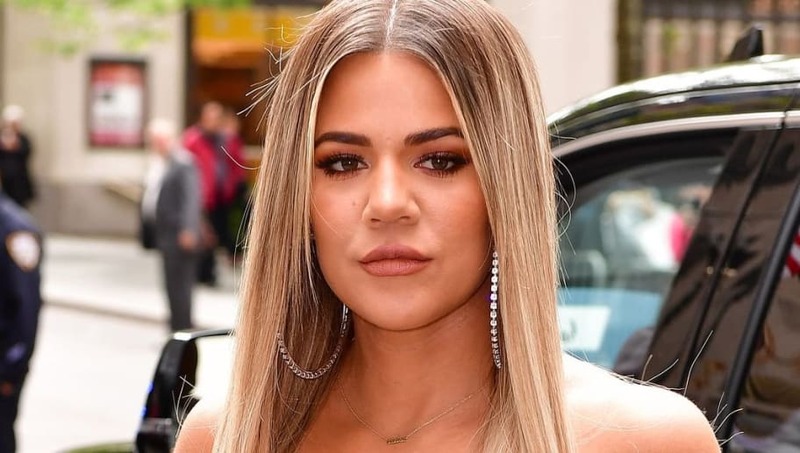 We commend Khloé's strength and ability to forgive as she continues to make things with Tristan work, and we can't wait to see everything that went down this past April when Keeping Up With the Kardashians continues on Sunday.